Vishal Bhatnagar, the coordinator of the workshop, uses Indian iconography for his work on fiberglass, bronze and now stone. 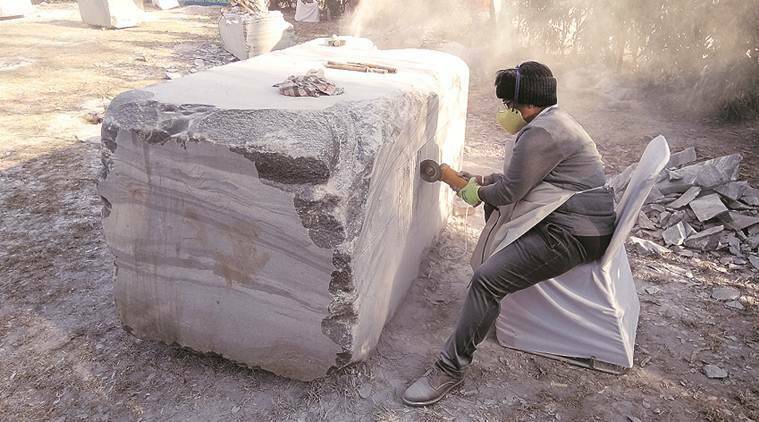 The Museum Outreach Activity Centre at the Leisure Valley has transformed into an outdoor studio space as 14 sculptors, as part of Chandigarh Lalit Kala Akademi’s stone sculpture workshop (on till February 18), breathe life into stone by transforming these blocks of stone into works of art. “Working on stone can be tough. Rajender Kumar, who has lived in the city for all his life, is also inspired by it. Renowned sculptor from Kerala, Valson Kolleri, who is here after 40 years, says he has no per-conceived ideas before he begins work.